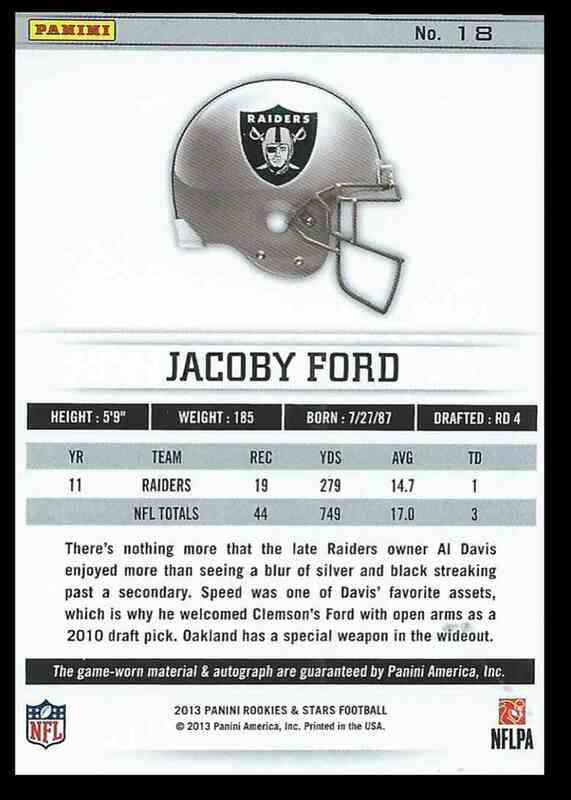 This is a autographed Football trading card of Jacoby Ford, Oakland Raiders. 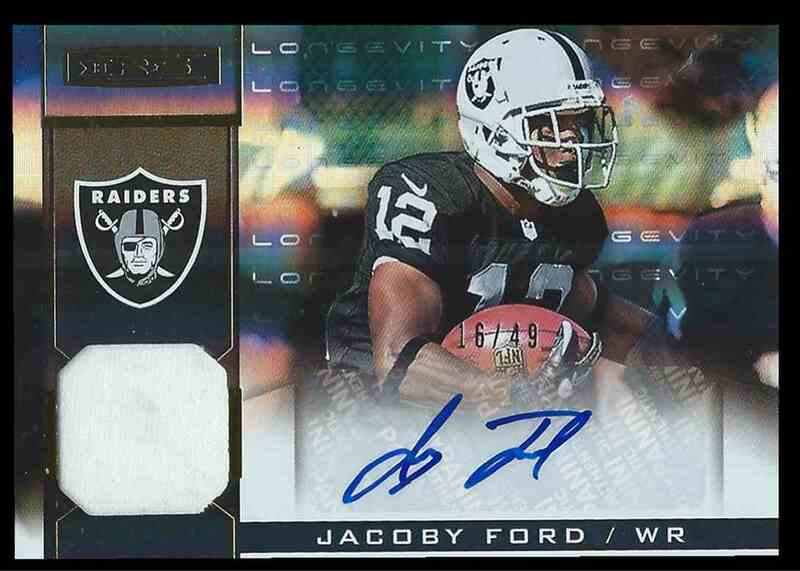 It comes from the 2013 Panini Rookies And Stars Longevity set, card number 18, embedded Jersey 1 Color, serial numbered /49. It is for sale at a price of $ 11.90.